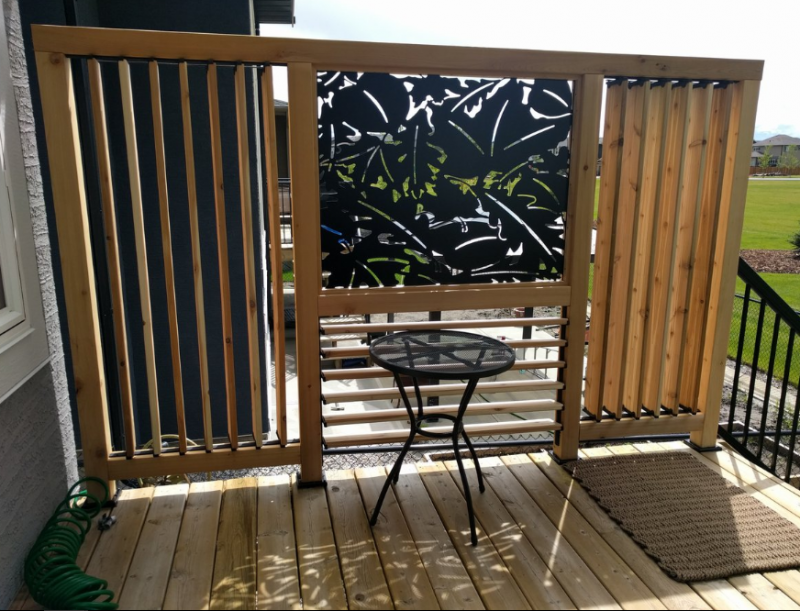 Outdoor Privacy Screen – There is no feeling as great as having a backyard, garden or a patio where you can spend quality time alone or with your friends. No matter how comfortable the furniture is or how the green the color of the grass is, if there is no privacy, you can’t feel relaxed. In order to increase the privacy level, you can add one or more privacy screens. You can also build them yourself. 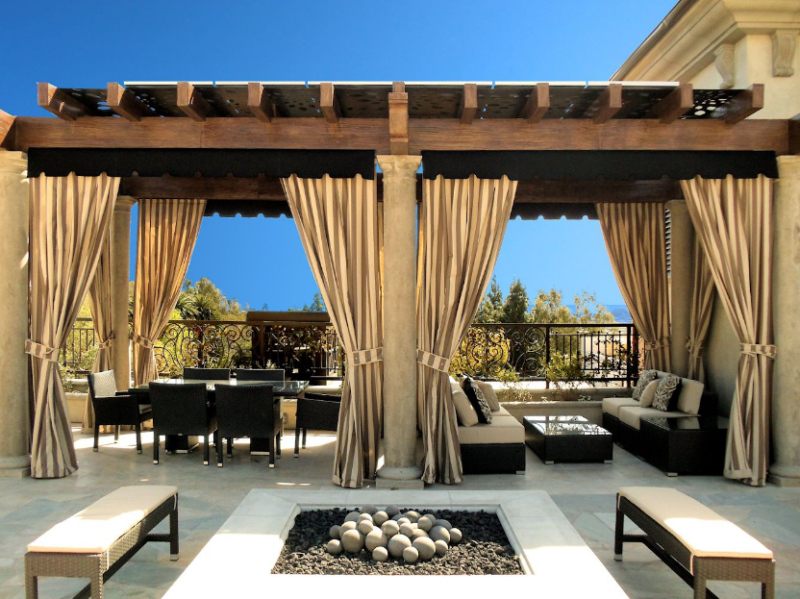 In order to build an outdoor privacy screen, you will need thin wood strips, exterior wood stains, bamboo fencing, cup hooks and L brackets of small size. Start by making a frame of the screen. Use the wood strips to frame the bamboo. Make sure that the wood is dry before building the frame. Attach the screens to the porch with brackets and hooks. 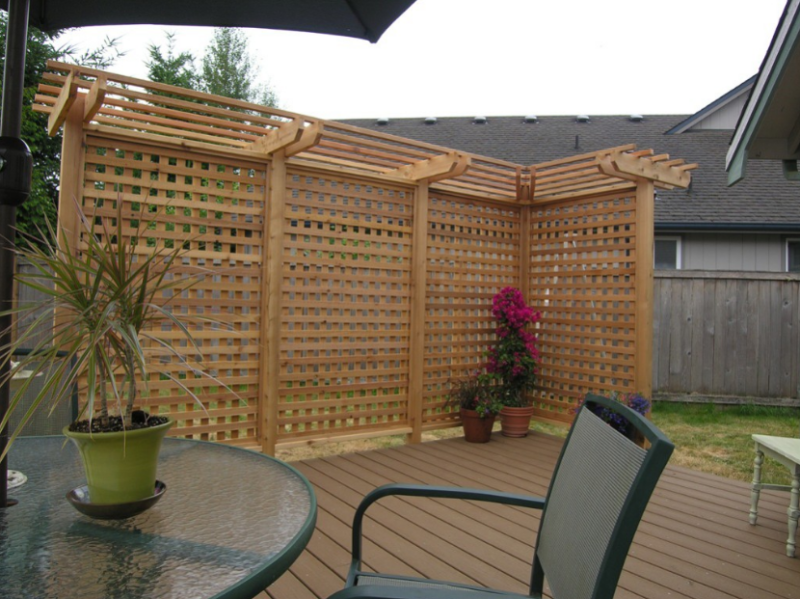 You can also use lattice panels to build privacy screens for the deck or the patio. Create individual frames for each panel and glue the panels to the screen. Put screws in the ends by drilling holes. You can also use chains and S hooks to hang them at the required height. 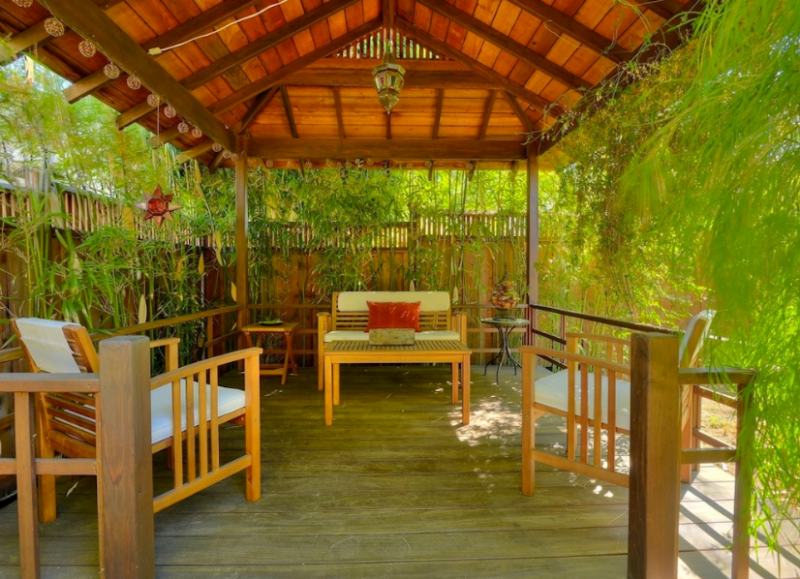 Try adding similar screens to the deck to make it more welcoming and cozy. If the houses are close to each other, it would provide more privacy. 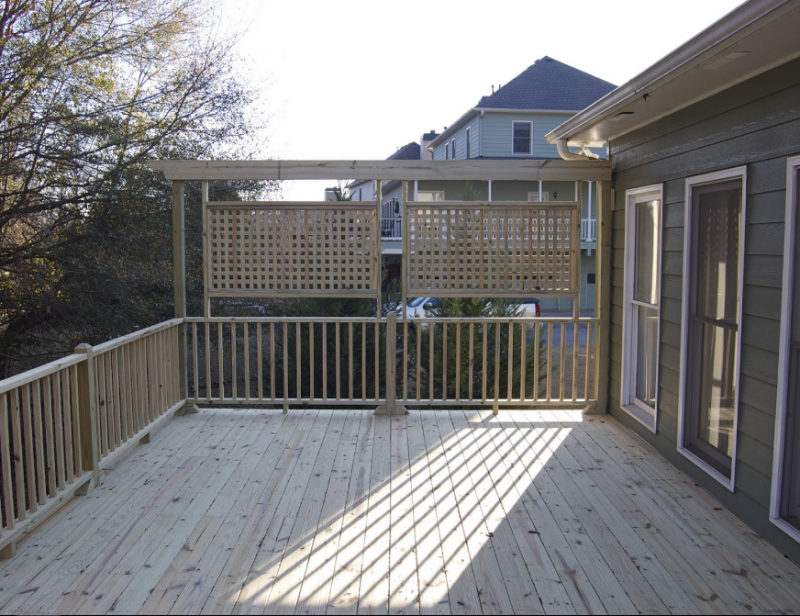 It is easy to install the panel if there is already a small fence around the deck. If you are up for something really cheap and economical, you can use wattle as a fencing material for your outdoor privacy screen. 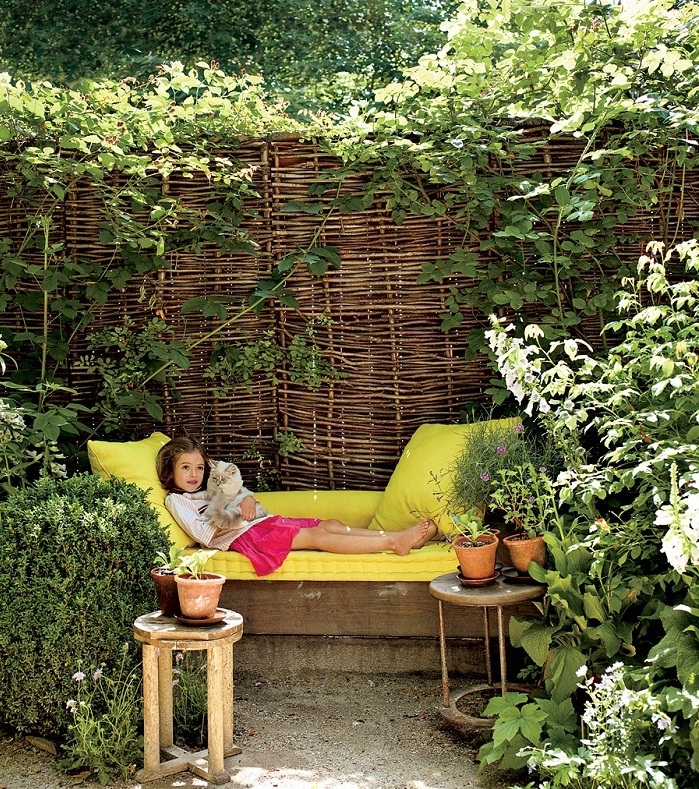 This idea originates from England where the wattle fencing was woven with hazel branches. You can add a variety of twigs and branches to get the look you want. 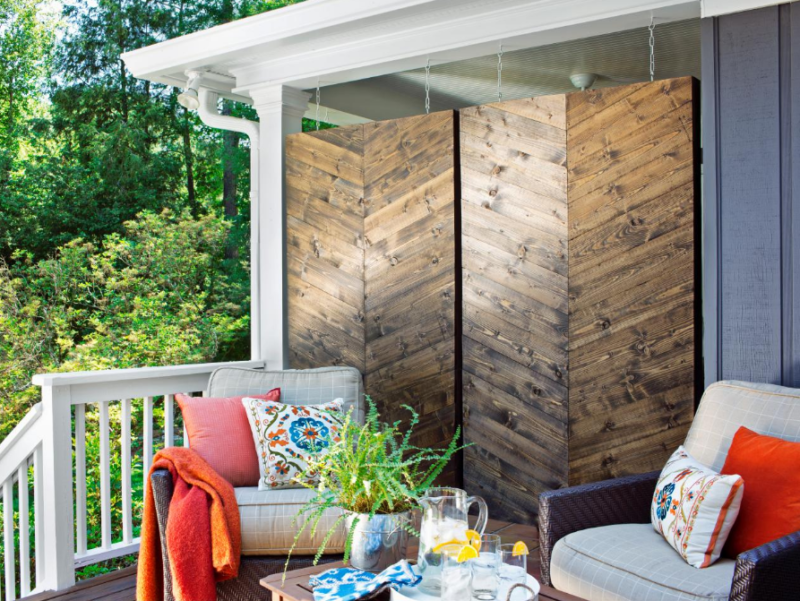 If you have some old doors in your outhouse waiting to be used in a DIY project, you can utilize them in your outdoor privacy screen. All you need is four doors. You can use doors with different designs as well. Join these doors to create a flexible and unique outdoor privacy screen which you can use in your garden, patio or backyard. You can also use shutters for this purpose. It only depends on how creative you are and which idea you bring to the plate. A green environment is a pleasing to the eyes. 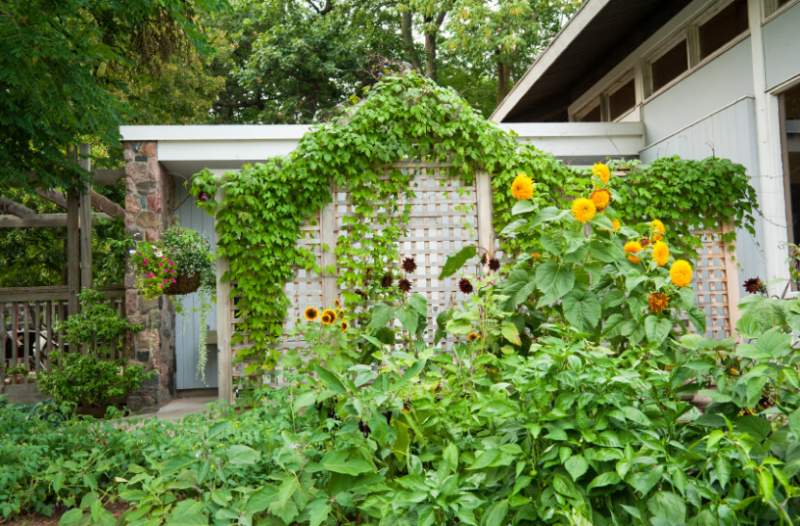 You can use vines to cover a fence or a privacy screen. However, it would take time for vines to grow and cover all the screen. When they are all grown up, you can trim them to your required height and shape and it would look awesome. 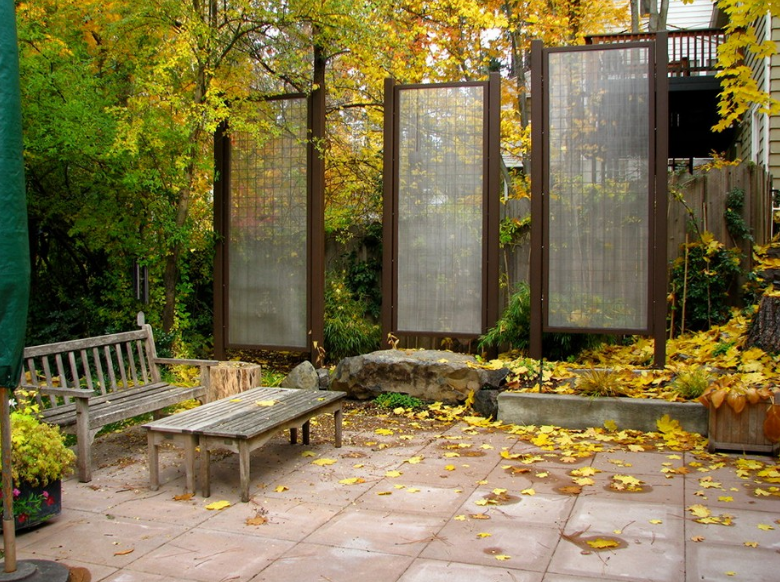 When you build an outdoor privacy screen, you can combine several functions into a single design. If you have a single screen, you can add vertical plants with hangers. You would need ground spikes, planks, scrap wood, fence staples, pots, plants, and steel wire. To add a bit of class and grace, you can use nets and curtains. Fabric curtains are not only easy to install they are also highly customizable. Add them to a framework to get more privacy and protection from heat and light. Start with installing curtain rods around the deck to completely enclose whenever needed for increased privacy. If you want protection against rain also, you can install a roof as well. 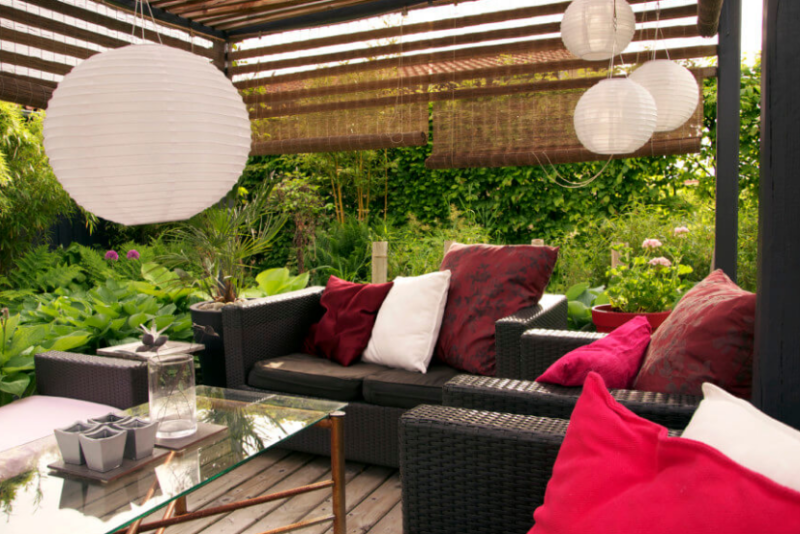 Rather using artificial materials and investing a lot of time making an outdoor privacy screen, use small plants which can act as your screen. You can use shrubs and small trees and allow them to grow. If your backyard is larger, this idea would give a scenic view which would be very pleasing to the eyes and refreshing to the mind. 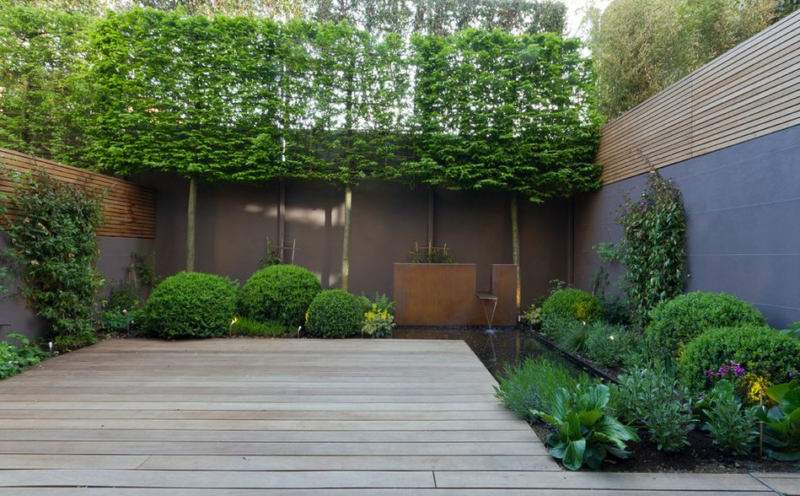 You can also grow hedge walls for increased privacy and protection while creating a natural environment around you. These hedge walls are more secure than wooden fences. 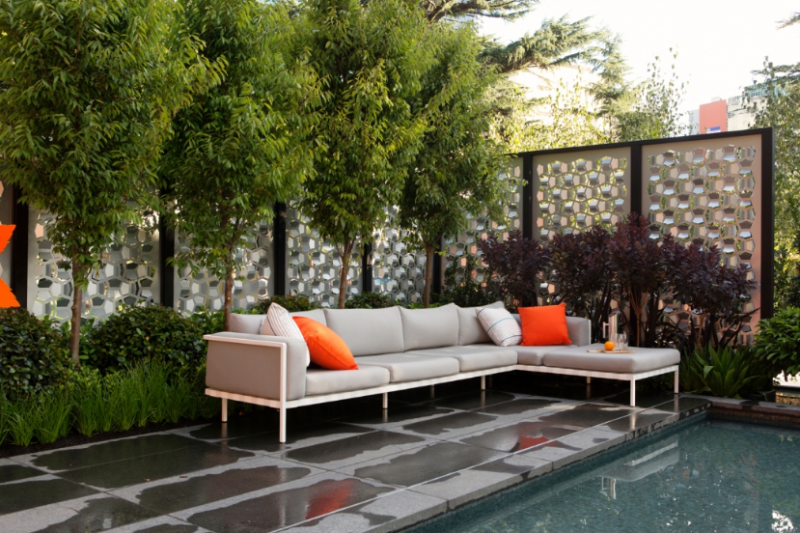 Although you may find it weird but metal screens are also a good option for an outdoor privacy screen. You can build a tin accent wall and perhaps it will blend in well. Since you are trying to increase the privacy level for your outdoor area. 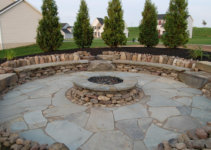 You can add a water effect of increasing the amount of beauty of your backyard area. 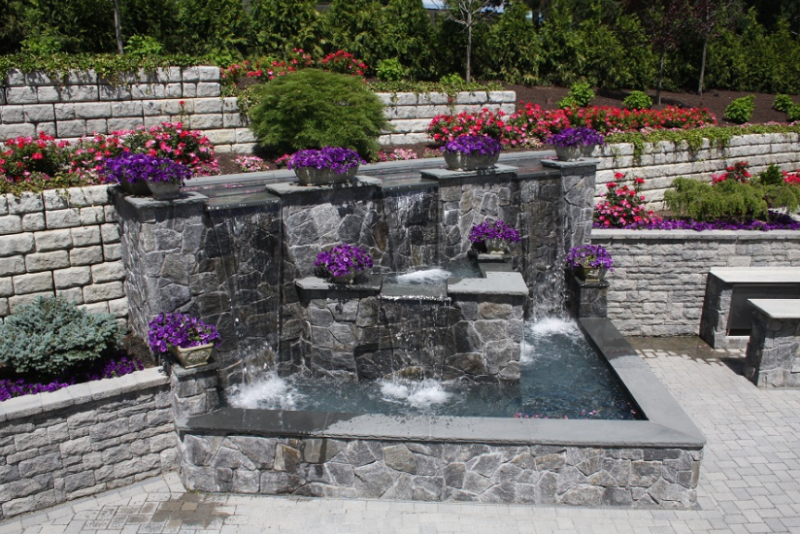 The water feature like an artificial waterfall or a fountain would not only look great but will also make an ambient pleasing sound to help you calm and relax. If you like worn-out finish, herringbone privacy screen might intrigue you. These have a rustic effect much like on antiques to give a charming look. 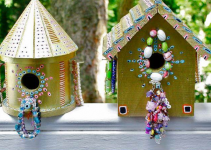 These can also be made with recyclable materials. 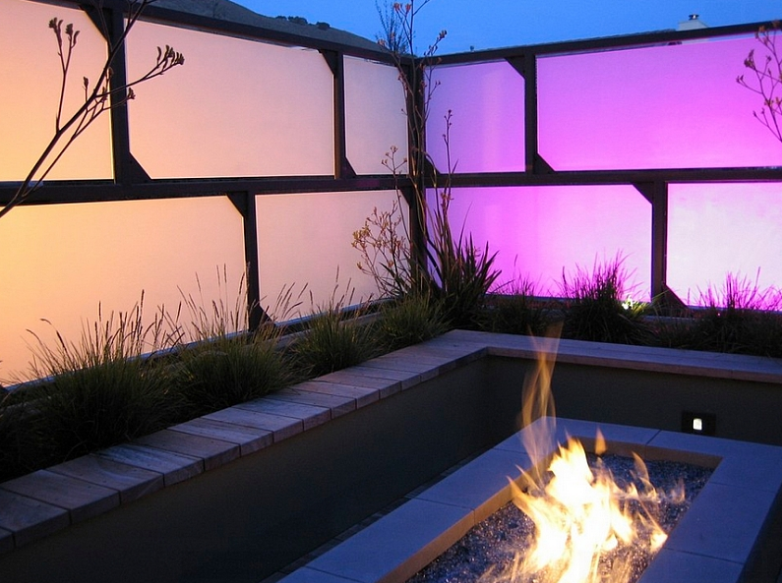 You can easily find materials to build these privacy screens. 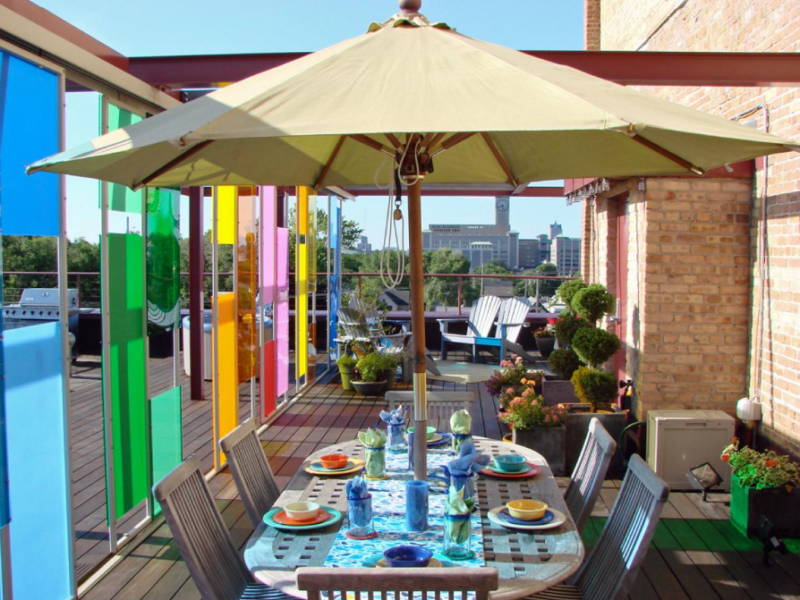 If you want a bit of flexibility on your outdoor privacy screens, use sliding panels. These sliding panels use a very less space and can be adjusted according to the position of the sun. 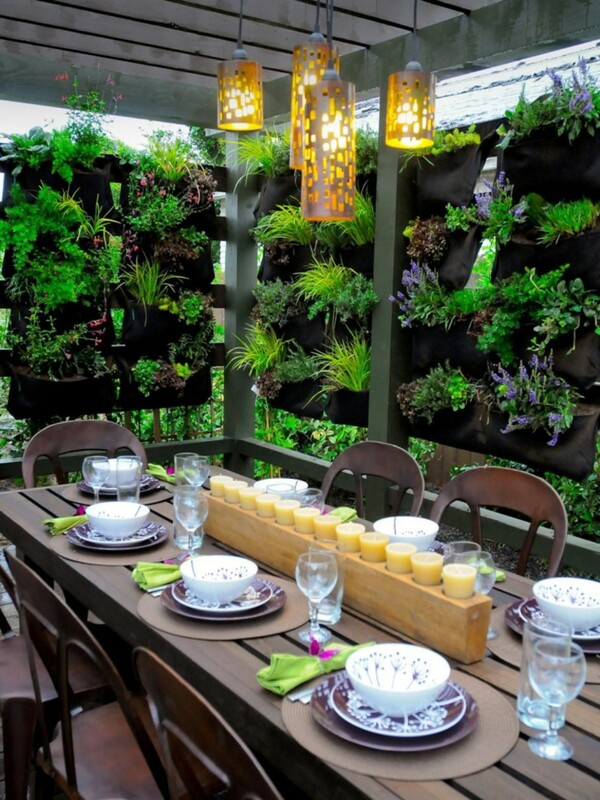 For a romantic and lovely sight, a living wall is a magnificent option. 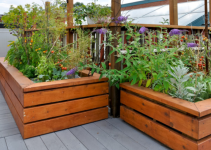 Not only that it’s really effective at offering you the privacy you seek but it also makes the deck/ patio feel really fresh and look really beautiful. The plants and flowers will fill your eyes with colors and make your time romantic and memorable. These privacy screens are built using hog wires and these are highly customizable. They are tall and can be a good option if you live in a community with tall buildings in the surroundings. For a captivating sight, use glass panels. These can have personalized designs and can also lighten up at night to display all sorts of colors. 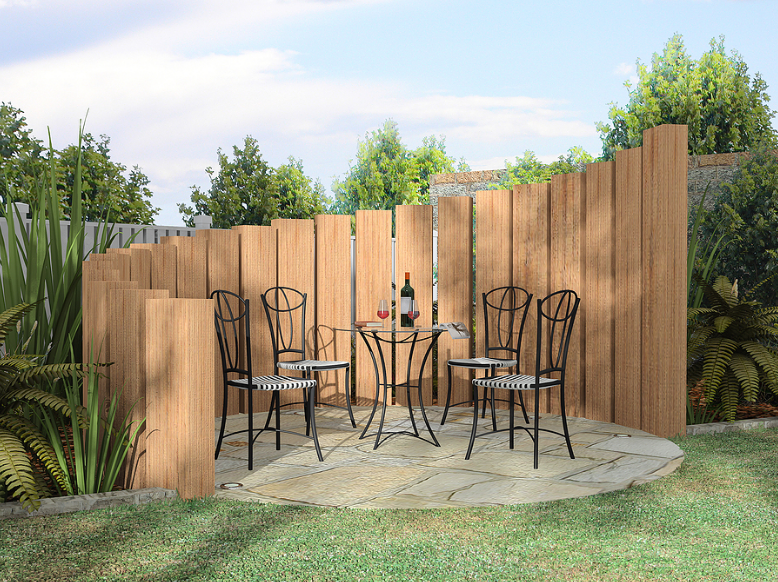 Nothing can be as simple as a wooden fence around the backyard as an outdoor privacy screen. These fences can be made easily and provide utmost privacy and security you need. what kind of trees are in the photo with the orange pillows on the couch? I live in a manufactured home and all of a sudden the owners of the property want everyone in the park to remove any lattice on our homes. 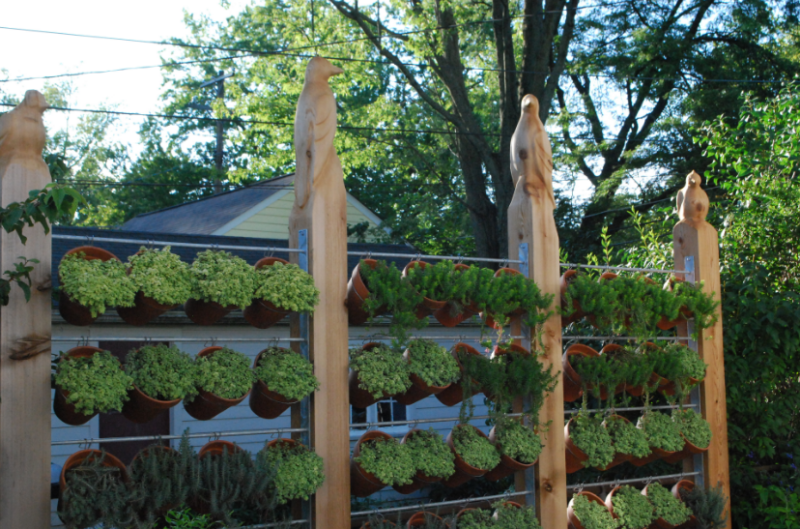 Needless to say, lattice is the standby material to create privacy, vine supports, fencing and heaven knows what else. What is a good simple, inexpensive way to replace it.